Ain’t the the first time I lost my head, likely not the last. DS106 is an infectious lovely parasite that for a few of us… well at least me, is something I cannot shake. It gets in yer skin, and deeper, and in yer blood, and deeper, and yer marrow, and deeper, and right down to the soul. It got me buying a poncho down at the Amazon General Store (luckily I had me a hat). There’s 59 blogs hitched up to the ds106 syndication wagon carrin’ like 280 blog posts. And a heap o’ tweets. Heck, my good long time friend Cheryl Colan dusted off her blog to sign up (look at her recent glorious GIF post). But my idear of settin’ up weekly units here was a big package that I can’t really keep doin’ and not mess up my other responsibilities. I almost missed the sunset on Sunday getting unit 2 ready! You see, I was lookin’ at the open course all wrong. It’s been done already, and that wagon don’t need doin’ agin. That Unit 2 is so fat, I think I put a dent in the internets– and I don’t think nobody, or NOBODY, and certainly not be is gonna do all that stuff. Someone tweeted me that outlaws don’t need lists. I don/t think Western106 needs a course, it just needs people doin’ stuff. So this is notice I am kind of hanging up (but not dumping, please read on) this idea of running a course. DS106 does not need another course, it just needs some stuff going on to gather around. And what people are rallying about is the Daily Create. This ain’t no quitting or folding up the MOOC and going home. Let’s call it picking a new trail in the territory. I’ll continue populating (and doing many) of the Daily Creates. Little do you know how fun it is to come up with them, and there is a good supply of them in the barn, thanks to many folks, especially Sandy Brown Jensen. It’s a good way for people to be in the creative mix, and some folks really take them a long way in blog posts. I’ll do at least the High Noon Radio show through the end of January, and like beyond. That does not take much to do, beyond the futzing, and a lot of people signed up to be guests. It’s fun to meet up down town once a week. You want to do a class? Follow along with, participate, and support the students in Paul Bond’s class — follow his course and do the assignments he puts out at http://ds106tal.es. There is another new DS106 class from Colorado University Denver that just hitched to the DS106 syndication bus, so there will be ore activity from that group. 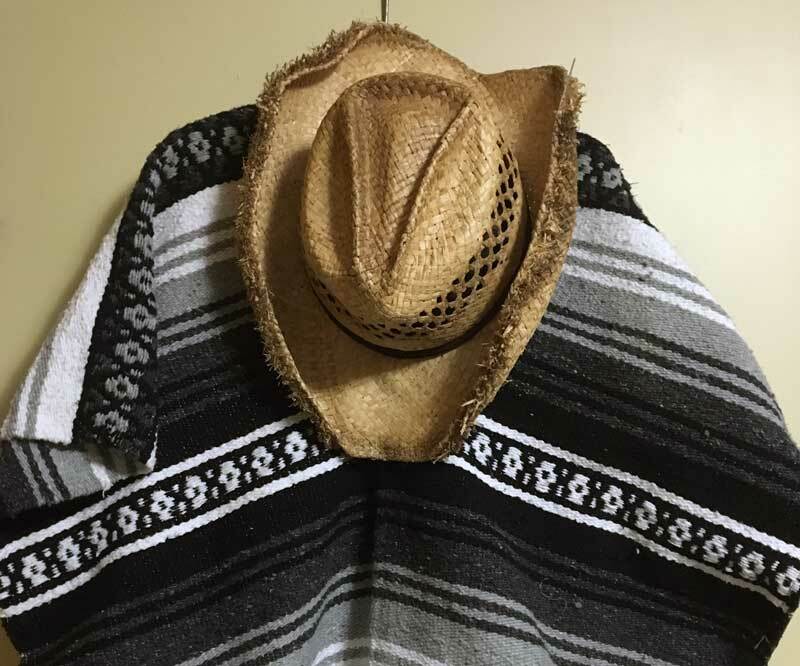 And in February I am co-wrangling a course with one of the most famous Puerto Rican Edtech Cowboys, Antonio Vantaggiato, and we hope to have those students doin’ some DS106 action. Heck people will still do stuff in twitter. I don’t think people need me cranking out goofy videos and long assignment posts to do a Western106. What I’d like to see is some open folks figure out some other things they can do along the way. Maybe organize teams to do radio show projects in the middle. #ds106radio I agree–Blood Meridian best WRITTEN book since Faulkner! #ds106radio I like the assignment of explaining a favorite other/genre piece in terms of the western genre. "Johnny Mnemonic" as western. Really, with this crowd and ideas, no one needs a “course”! All I am doing is getting off the horse in front, and joining the rest of the mob behind. Cause for this hombre, DS106 es de por vida. ← Western106 Week 2: Who’s Still With Us?